[Update: December 29, 2017] Response dated October 31, 2017 received from The City of Saint John. The response is as below. Even though the response is not what we were hoping for, we are grateful to the City of Saint John for responding to our petition. We hope that “received for information” means that this information will not only be “received for information”, but also be taken into consideration in their future dealings and plans with their Friendship city, Donghae. For now we will close our petition and campaign. We thank all of our supporters who have taken action to contact Saint John. 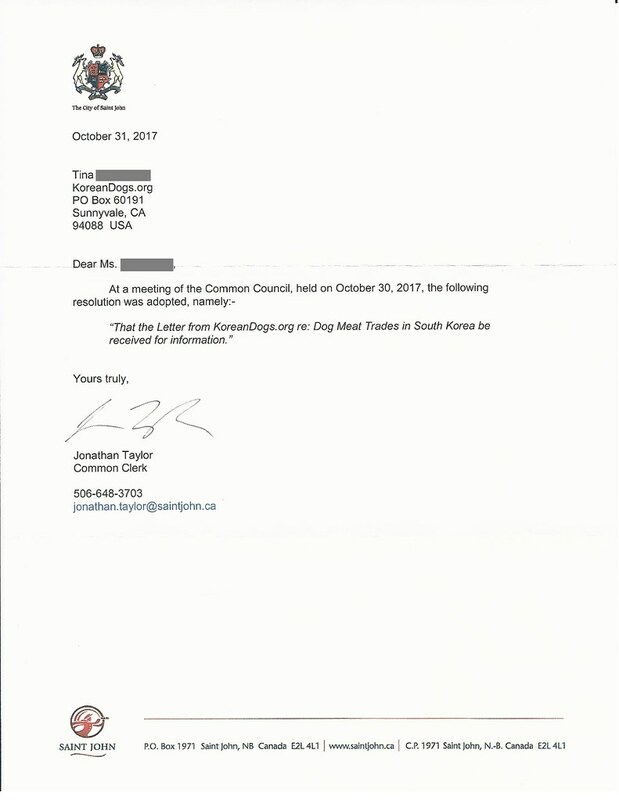 Mayor Don Darling of Saint John, New Brunswick : Tell Friendship City, Donghae, South Korea, That We’re Opposed to the Torture and Consumption of Dogs and Cats. Donghae became Friendship city with Saint John in 2008. 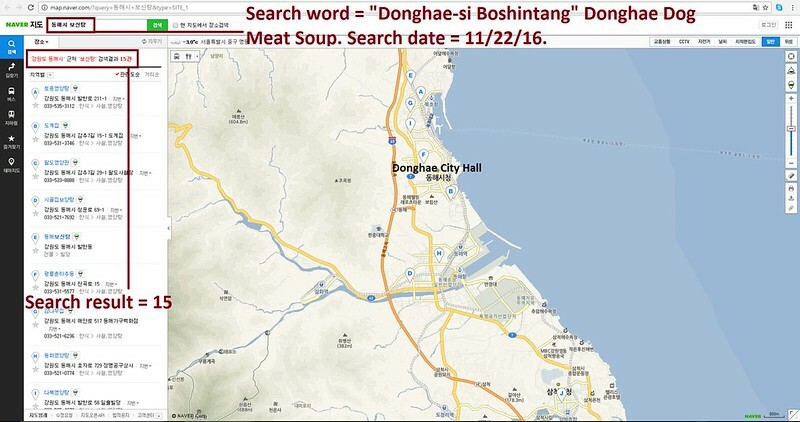 The searches resulted in: 68 Health Food Centers; and 15 restaurants in and around Donghae. 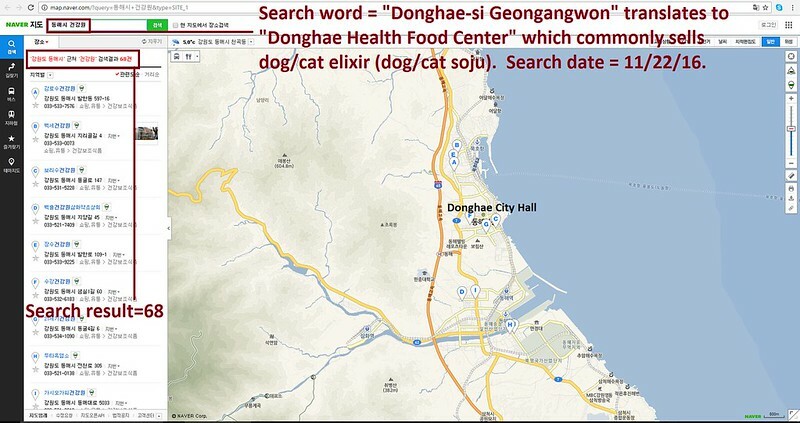 Even if half of these ‘Health’ Food Centers and restaurants serve dog and cat ‘ingredients’ in one form or another, just imagine how many dog/cat slaughterhouses must be present in and around Donghae in order to supply all of these outlets. Please sign petition, call, write and email the Saint John Mayor TODAY! Hello, I’m calling to speak to someone in the Mayor’s Office to ask for their help on an important issue regarding your Friendship city, Donghae in South Korea. So, I am asking you to please speak with your counterparts in Donghae to urge them to enforce their own laws, not ignore them, and to show compassion to their companion animals, and also respect to their own citizens, by bringing these trades to an end. No matter where you live PLEASE SHARE these actions with your friends – especially those who live in Saint John!